Whether delivered face to face or remotely, requests are more apt to receive a response if they're delivered within a physician's workflow. There are different ways in which physicians are queried to ensure patient health records are complete. Most facilities employ onsite clinical documentation improvement (CDI) teams that are able to interact in person or by phone with the medical staff. Other hospitals query physicians remotely either through e-mails or EMR-generated requests. Queries are further divided into those sent by coders, which arrive after a patient is discharged, and those used for clarification sent while the patient is still in the hospital and generated by the CDI team. Physician preference and perception can influence how quickly the queries are answered—if at all—in each set of circumstances. "To me, the queries are very different, depending on the groups that originate them," says Donna Smith, a senior consultant for 3M Health Information Systems. "The ones that come from coders are usually about missing or incomplete documentation and may seem impersonal to the physician. Often they are in the form of a note, something pasted on the physician's record as the coder processes the discharge record and codes the case. This kind of query has always been detached and always will be due to the nature of the workflow. Queries from CDI professionals are more interactive since they are presented to the physician while the patient is still in house." In general, physicians prefer to answer queries while they are working in the patient record, Smith says. Even if the patient has already been discharged, physicians want to have queries presented to them while they are either discussing the patient or involved in dictation, so that the case is top of mind. "In my experience, it doesn't matter whether that query is presented remotely or on the floor," Smith says. "The timing of the query is the key factor in ensuring a physician provides an answer." For example, the most common queries seeking more specificity, such as those related to heart failure, malnutrition, or diabetes, often are generated remotely by coders. "All the coders are asking for is a clear clinical picture," Smith says. "That said, some situations need true clinical clarifications, ruling out something, for instance. Some questions require a more detailed clinical explanation and may need to be discussed face to face, yet summarized succinctly, with a physician." Ginny Balla, a documentation client services manager at Executive Health Resources, notes that some physicians are extremely engaged in the documentation process while others would prefer not to be involved. "For that reason, I think the verbal query is one of the better queries you can do to move the process along," she says. "Verbal queries must still comply with the AHIMA query guidelines. We cannot lead a physician to a diagnosis; however, the verbal query is much more interactive and educational in nature. The key to remember when doing a verbal query is to discuss the clinical picture in the patient record, engage the physician in a discussion of what they were thinking when treating the patient, and get them to document that in the patient record." Balla adds that technology can help get the job done. "One of the things heard frequently in our program is, 'When I call the physicians, they will not respond.' Physicians are busy treating patients throughout the day and don't always have time to stop and take phone calls to discuss the documentation in a patient record," she says. "We have received requests from several hospitals regarding text messaging, as physicians tend to be much more responsive to text messaging. However, that raises security questions with the PHI [protected health information] that would need to be addressed prior to implementation of this type of query process." "The big factor is that you have to be careful with anything that pertains to patient data," says John Zelem, MD, vice president of compliance and physician education at Executive Health Resources. "That's where the issues of secure texting and e-mail come into play because even a perceived HIPAA violation needs to be reported and could be subject to fines." Wilbur Lo, MD, CDIP, CCA, a CDI advisor at ICDLogic, believes remote querying is gaining steam throughout the industry, noting that as long as the process fits into physician workflow, it will be well received. Like Smith, he believes for such queries to be effective, they need to be timely, a key factor to enhancing physician workflow. Developing a rapport with physicians can help elicit responses—even if the query is generated remotely. Building trust with the physician staff is part of the CDI team's responsibilities. Balla believes face-to-face conversations provide teaching opportunities and help physicians realize their care is not being questioned. A recent survey supports that opinion. According to the report "2015 Clinical Documentation Improvement Trends Survey Overview," conducted by Executive Health Resources in conjunction with the American Hospital Association, the obstacle that most prohibits physicians from working effectively with CDI teams is their lack of appreciation for the importance of documentation. "Doctors can sometimes be confused as to whether the query is a matter of questioning care or looking for better documentation," Zelem says. "Physicians are not documenting for coders, CDI, utilization management, or auditors; they generally document for other physicians. They don't always know how important the need is to document accurately and the need to document for a different audience. Therefore, timely or not, querying remotely can generate no response because doctors don't feel like they have to answer any more specifically than what they already have to care for their patients effectively." Anthony Oliva, DO, national medical director at Nuance Communications and the former chief medical officer at Borgess Health, points out the importance of physicians being engaged with the CDI team. "And that has to be based, at least on the physicians' side, on trust, an understanding that CDI staff come from a clinical background, and regular interaction. It's a clinical team approach to a CDI program," he says. Oliva adds that physicians are more likely to engage in a conversation with someone who asks them meaningful questions. Then, if there's a disagreement or more information is needed, the discussion will be based on a solid, respectful foundation. Technology has had a significant impact on the query process, Oliva says. "Now, we have an EMR, and everyone is approaching [queries] differently," he says. "You have clinical documentation specialists who can review all records remotely and never have to go to the floor. Physicians can review records in the physicians' lounge. They're not interacting on the floors as much, so the physicians are also becoming remote. There is no paper record, which is more efficient, but there's a productivity issue that can be involved with that. It's a double-edged sword. "The concern is that the CDI-to-physicians discussion will be harder to do remotely," he continues. "Physicians are dismissive of queries. They don't want to deal with them. Time has passed, and they've seen a number of patients in between. It runs that risk of falling into that category of a postdischarge query, where doctors don't want to do it. A CDI query, at least now, when it's not remote, gets more attention." Nevertheless, Oliva believes querying and clarifying through electronic means will only increase. "Because of this, we have to figure out how to maintain that clinical relationship that the CDI program is based on," he says. "The CDI specialists need to find ways to get out of their offices and interact with the physicians. They need to be visible in department meetings, for example. They need to get rounding information and express their concerns and needs for clarification." Without the extra effort, there's a risk that whatever bond existed between CDI specialists and physicians will deteriorate and cause issues. For example, physicians may be less inclined to offer an opinion or choose not to answer at all, resulting in incomplete medical records. To maintain a healthy relationship between CDI staff and physicians, Henrietta Comrie, a managing director at FTI Consulting, recommends linking query responses to delinquency rates, a difficult but effective strategy for remote queries. "If the physician hasn't completed documenting the record, it goes into delinquency; the physician has a seven- to 30-day window, depending on the facility's delinquency policy, to submit a response. When queries are added to this delinquency forum, which means that the query has to be responded to or the record will be considered delinquent, greater response is generated, as physicians don't want to be thought of as delinquent," she says. Comrie suggests creating a scorecard to evaluate physician query responses. The tool can measure such metrics as response time, case-mix index, and top 10 query types. The scorecard also can illustrate how individual response rates affect overall metrics. Balla says holding physicians accountable for answering queries is far less effective if they are not hospital employees. However, Baber Ghauri, MD, MBA, FHM, FACP, chief medical officer at ICDLogic and chief medical information officer at St. Mary Medical Center in Langhorne, Pennsylvania, points out that "concordance is now becoming the norm, so if the hospital doesn't get paid, neither does the doctor." Incomplete records can have a significant impact on revenue. For instance, if a diagnosis can't be supported by the coding, a different diagnosis-related group (DRG) may be billed. 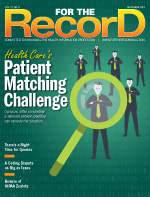 "Today's coders not only use the documentation in the patient record to bill and code records, they also use their experience with audits and denials to ensure that whatever is billed is appropriately documented in the patient record," Balla says. "Therefore, if a physician documents a condition that's not clinically supported in the record, there's potential for denial of the entire bill either when submitted or through a retrospective audit. Additionally, if there's clinical evidence in a record that's not appropriately documented, there could be diagnoses and/or procedures inadequately defined on the patient bill, which could result in money left on the table." "With Medicare, we are moving toward quality and outcomes and getting away from volumes," Zelem explains. "In 2015, some of the hospitals can have their risk assessment affected—lost revenue from the DRG side and penalties. The maximum Medicare quality penalty in 2015 can be at 5.5%, while in the Medicare world, the actual profit margin can be around only 1% to 2%. If you are giving those profits back in penalties, that can have a substantial financial impact on a facility." Two months ago, St. Mary Medical Center transformed its query process from a paper-based system to one featuring more automation. "We began working with 3M 360, a system used by CDI staff, which provides decision support for real-time query production," Ghauri says. "A clinical documentation specialist finds an issue, goes into the system, and then prints out a paper query that is placed in the chart." The facility also recently implemented iQuery, a budget-neutral system in which documentation gaps are reported to the transcription vendor to trigger a template for a CDI query. A clinical documentation specialist adds the appropriate context-specific content, which in turn generates an electronic query that is sent to the EMR and into the physician's e-sign queue. "In the old world, the physician would see that paper query once a day. Now, he sees it pretty much every time he logs in," Ghauri says. "It's been received very well. Our query completion rate prior to discharge has improved significantly. The previous completion rate was falsely high at 99% because it was being measured after discharge. Now, with iQuery, it's done prior to discharge which makes the whole process more efficient, reducing our DNFB [discharged not final billed], which is one of our goals." "What Dr. Ghauri describes is very exciting," Lo says. "The query process and documentation are intertwined. It's now possible to streamline this communication with workflow. Physicians don't want to find sticky notes left in paper charts, which may not be placed properly or lost altogether. For doctors to be able to see queries in their existing signature queues is very efficient." Experts believe that the current number of queries, generally one to three per chart, may increase to as many as 10 to 15 in an ICD-10 environment. "If the clinician wasn't documenting the conditions properly to begin with, then ICD-10-CM will make it more difficult for the coders to understand what happened to each patient," Lo says. "For physicians who are not documenting properly with the ICD-9-CM vocabulary, it's conceivable that ICD-10-CM will augment these problems several-fold. For fracture of the femur, ICD-9-CM contains 32 codes, compared with over 2,400 possible codes in ICD-10-CM. Imagine the number of queries for fracture of the femur in ICD-10-CM. With respect to inpatient procedure codes, ICD-9-CM volume 3 contains approximately 3,800 codes, whereas ICD-10-PCS contains approximately 72,000 codes. In a similar fashion, ICD-10-PCS will lead to an explosion of queries for inpatient procedures." Because ICD-10's vocabulary is more clinical than ICD-9, experts believe it will take more time to not only address the increase in queries but also provide the specificities the new system requires. "It's not a simple translation from I-9 to I-10," Ghauri explains. "There's no system telling you that you need to document more than one code. I can code asthma in I-9 and get paid. In I-10, I have to code whether the person is or isn't a smoker. How would I know to do that?" In regard to ICD-10 and queries, Lo stresses patience. "It takes time, which can be very frustrating, and there could be a lot of problems that lead to rejections and denials," he says. "Long term, there has to be an effective system that is tailored to each facility's patient population in order for a smooth transition to ICD-10-CM/PCS."